Five photographs, including interior and exterior views, of Herrmann Shoe and Harness Shop in Alma, Kansas. 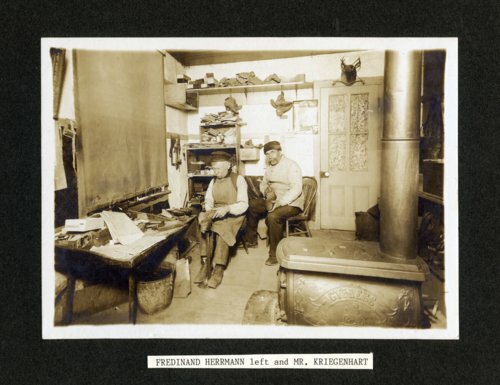 Ferdinand Herrmann (1843-1919) owned and operated the shop in the 100 block of West Main Street (now West 3rd Street). Ferdinand's wife, Christina, and several of their children are identified in the photographs.